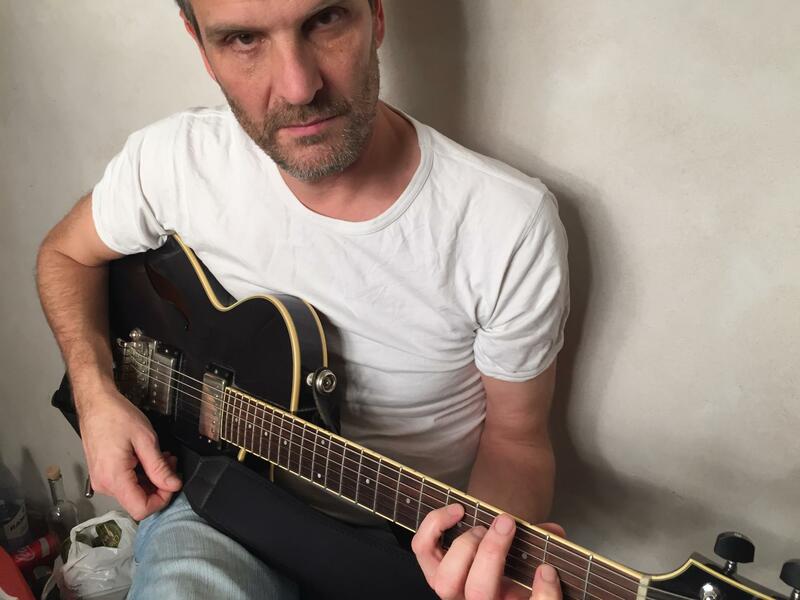 Born in Denmark, Torben moved to USA to study at Berklee College of Music 1984 to 1988, with Herb Pomeroy and Charlie Banacos and gigging the Boston club scene with Sam Newsome, Jim Black. Becoming friends with Ingrid Jensen and Donny McCaslin there would later lead to defining career developments. After the Boston years, Torben moved to Copenhagen, Denmark, then Malmo, Sweden. Torben released 2 CDs for swedish label LJ-Records and toured these in both Europe and North America. During one of these US tours with Ingrid Jensen, Torben became friends with Maria Schneider. It was on the advice - and the help - of Maria and Ingrid, that Waldorff moved his recorded music endeavors to ArtistShare, the pioneering crowdfunding, multi Grammy winning label, (also favored by Maria Schneider, the Clayton brothers and the late, great Jim Hall). In 2008 the band went on to record ”Afterburn” which added Sam Yahel on keys, to the band. This record would come to bear testament to Waldorff’s writing style and almost telepathic rapport with McCaslin. Sophisticated harmonies and elaborate structures with sympathetic accord and virtuosic interplay. The ”afterburn” CD made ”Top of year lists” in several countries. Critic Doug Ramsey wrote : expansive jazz of the kind that thrives in downtown Manhattan and Brooklyn and is spreading around the world. Waldorff, McCaslin and Yahel are leaders among the articulate standard bearers of the movement. ”American Rock Beauty” was released in 2010. After a celebrated performance at Germany’s legendary Jazzbaltica festival the band went to Brooklyn and recorded. Adding Brian Blade Fellowship’s Jon Cowherd to the band, the record shows a band ready to poetically play and create, on the basis of trademark Waldorff songs, very ”vocal” in character. JazzTimes would go on to write ”American Rock Beauty” has earfeel as a fine Burbundy has mouthfeel. On Waldorff’s sixth CD there was a new sound. Gary Versace is on keys . Waldorff now carries the melodic responsibility. As a composer he already can construct chord progressions that are instantly identifiable and catchy, while sliding complex harmonic and rhythmic structures underneath. Not only that, but also owns has one of the most appealing guitar tones in jazz, right up there with Rosenwinkel and Metheny, with a tad more sting in it than those other two guys(Something Else!). JazzTimes would write : Without saxophone, Waldorff’s vision is in sharper focus. Even this CD would place on ”Best of year” in many media outlets internationally. In 2017 ”Holiday On Fire” was released, marking Waldorff’s 10th year and 5th CD with ArtistShare. Recorded after a tumultuous and celebrated gig at Smalls Jazzclub in New York, with Ingrid Jensen on trumpet, Johnathan Blake on drums, Drew Gress on Bass, and Maggi Olin on piano, this record was a new direction and sound. Penned by Waldorff the record features ”his flair for hooks within sophisticated harmonics and a resonant guitar that rocks with intelligence, making something catchy out of something that has harmonic heft”. (somethingElse!) Downbeat had 4 Stars for this recording and Allaboutjazz wrote : one—he rips like a rock star; and two—the band he has put together has a sharply distinctive, modern, maybe even futuristic sound.